IntroworksNews & InsightsLaunch or Release? “At our company, everything is a launch.” This came from a client at a Fortune 500 company who was frustrated that her team was always “launching” something, and seldom doing it very successfully. Considering anything that’s new a launch is a common problem. But the reality is, not every new product, service or initiative merits the time and resources that launching requires. There are launches, and there are releases. By treating launches as launches and releases as releases, you prioritize your offerings, so you’re putting your time and energy into your most important initiatives. Launching is a process demanding cross-functional teamwork to achieve the aim, alignment and communication necessary for market momentum. Releases simply need communicating. How do you know which is which? Sometimes it’s intuitively clear. When it’s not so clear, it’s useful to look at a combination of the complexity of the offering and the importance of the outcome to the business. We’ve created a criteria chart to help with this. The Criteria Chart leads you through a series of questions around market share, potential for growth, product lifecycle, differentiation and so forth, and asks you to rank your answers on a scale of one to five. 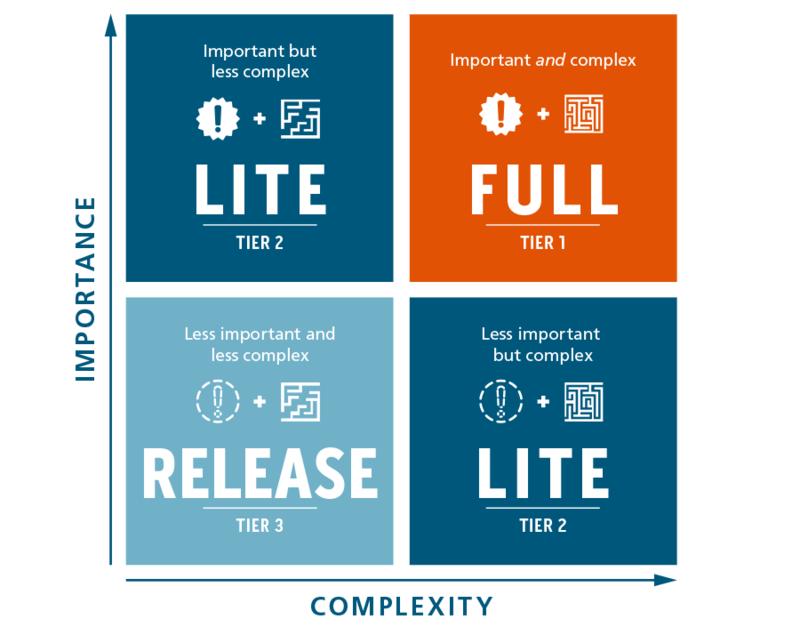 This exercise helps you determine the level of importance and complexity of your offering—and clarify whether you’re looking at a launch, a release, or something in between, which we call Launch Lite. Want help prioritizing launches? We’ve got a tool for that.